Endometriosis Featured on ABC's TV show, "The View." 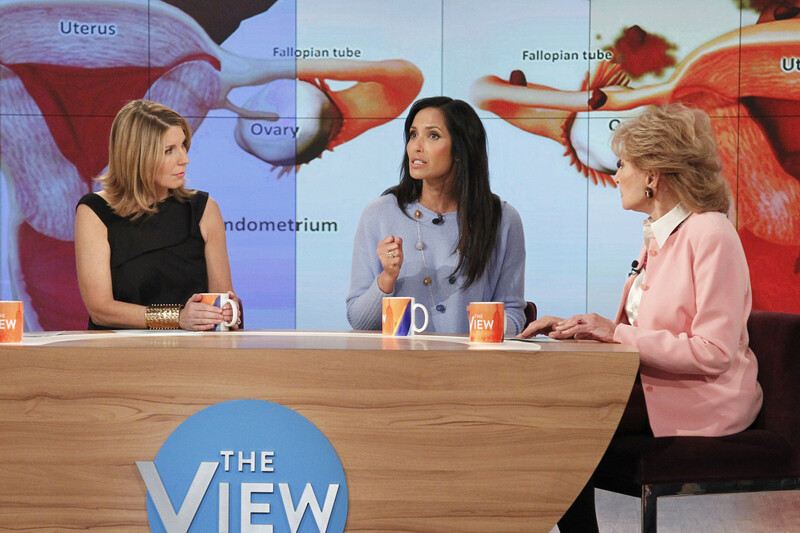 The Endometriosis Association of America’s co-founder, Padma Lakshmi, talked openly about her struggle with endometriosis during the February 20, 2015 episode of “The View.” Lakshmi, who was guest co-host, suffered for many years from bloating, excessive abdominal pain, cramping, and excessive bleeding. She wasn’t diagnosed until age 36 because she felt embarrassed talking about her symptoms and “you weren’t supposed to talk about it.” Since her diagnosis, she has made huge efforts to spread awareness about Endometriosis and has also helped get funding for research and education, especially outreach for teens. As an actress, model, television host, chef, and home decor designer, Lakshmi has a large following and has the potential to improve Endometriosis awareness. There are only a handful of celebrities who have opened up and talked about their gynecological issues publicly. There is a lot of conversation about women’s health when it comes to breast cancer, ovarian cancer, or heart disease, but when it comes to chronic gynecological issues like Endometriosis, fibroids, or adenomyosis, there’s not many people out there talking about it. Maybe it’s because these conditions are not typically life threatening, maybe it’s because women are generally told having pain is part of being female. Either way, the more we talk about these issues and the more we get conversations going, the better. Right now there are a lot of misdiagnoses, so it’s important that doctors become more educated. Additionally, it’s important that women learn about this condition so they can get proper treatment sooner before the disease progresses to a more severe state. ‹ Is Interstitial Cystitis a Form of Overactive Bladder?